Google introduces new features of AMP means accelerated mobile pages for mobile device users where we can easily scroll for the post of the website. As we all know google works on very hard on his giant search engine this amp will helps a lot in searching the right articles from the website by reading the summery of websites . AMP HTML is HTML with some restrictions for reliable performance and some extensions for building rich content beyond basic HTML. The AMP JS library ensures the fast rendering of AMP HTML pages. The Google AMP Cache (optionally) delivers the AMP HTML pages. Though most tags in an AMP HTML page are regular HTML tags, some HTML tags are replaced with AMP-specific tags (see also HTML Tags in the AMP spec). These custom elements, called AMP HTML components, make common patterns easy to implement in a performant way. For example, the amp-img tag provides full srcset support even in browsers that don’t support it yet. Learn how to create your first AMP HTML page. The AMP JS library implements all of AMP’s best performance practices, manages resource loading and gives you the custom tags mentioned above, all to ensure a fast rendering of your page. Among the biggest optimizations is the fact that it makes everything that comes from external resources asynchronous, so nothing in the page can block anything from rendering. Other performance techniques include the sandboxing of all iframes, the pre-calculation of the layout of every element on page before resources are loaded and the disabling of slow CSS selectors. To learn more about not just the optimizations but the limitations, read the AMP HTML specification. The Google AMP Cache is a proxy-based content delivery network for delivering all valid AMP documents. It fetches AMP HTML pages, caches them, and improves page performance automatically. When using the Google AMP Cache, the document, all JS files and all images load from the same origin that is using HTTP 2.0 for maximum efficiency. The cache also comes with a built-in validation systemwhich confirms that the page is guaranteed to work, and that it doesn’t depend on external resources. The validation system runs a series of assertions confirming the page’s markup meets the AMP HTML specification. Another version of the validator comes bundled with every AMP page. This version can log validation errors directly to the browser’s console when the page is rendered, allowing you to see how complex changes in your code might impact performance and user experience. Not sure how to get started? 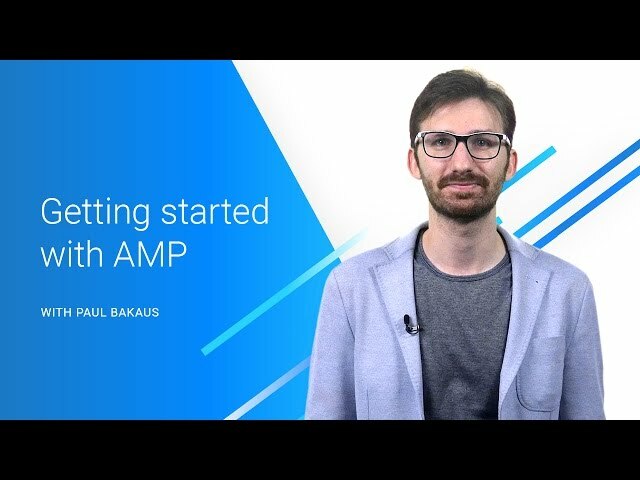 In this tutorial, you’ll learn how to create a basic AMP HTML page, how to stage it and validate that it’s AMP compliant, and finally how to get it ready for publication and distribution.